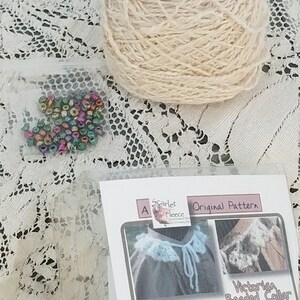 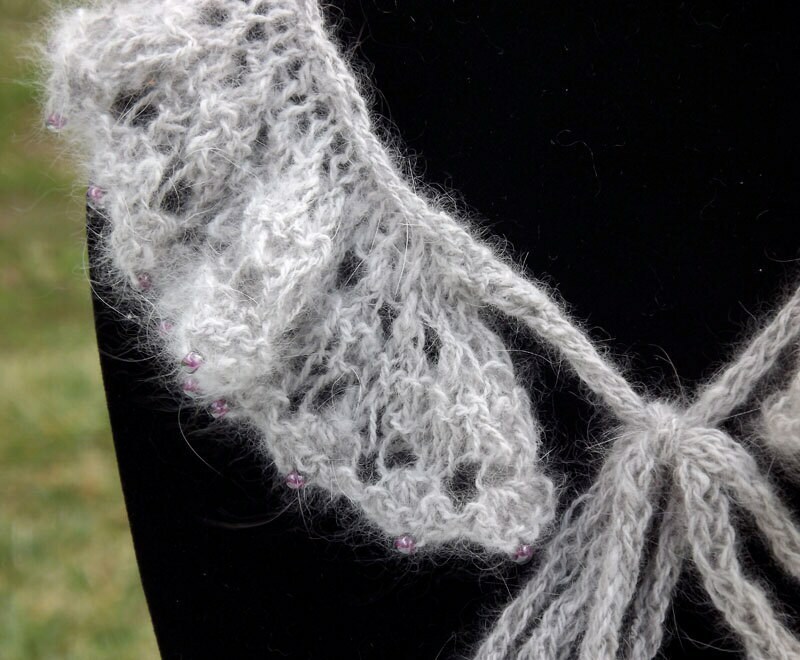 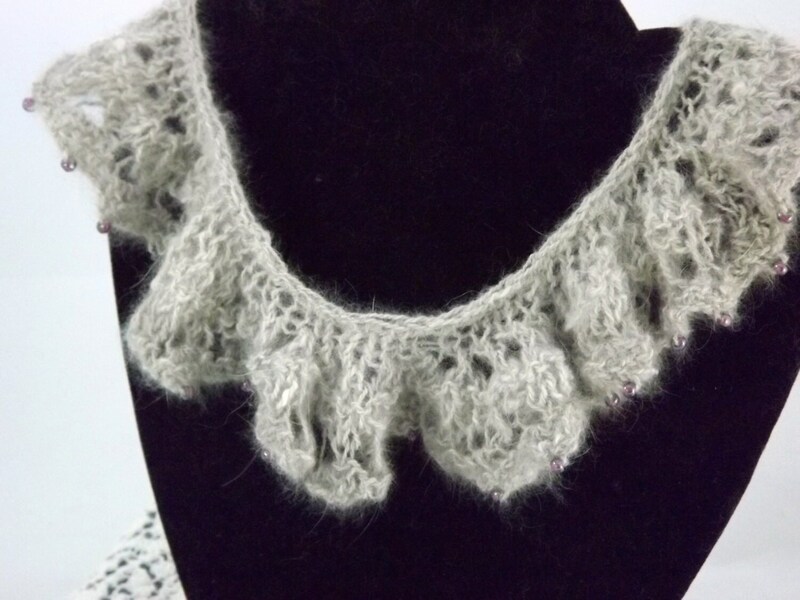 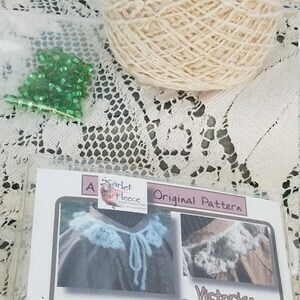 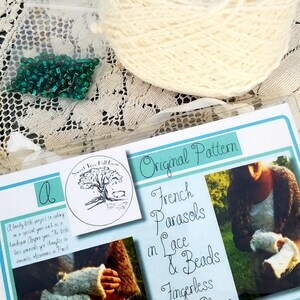 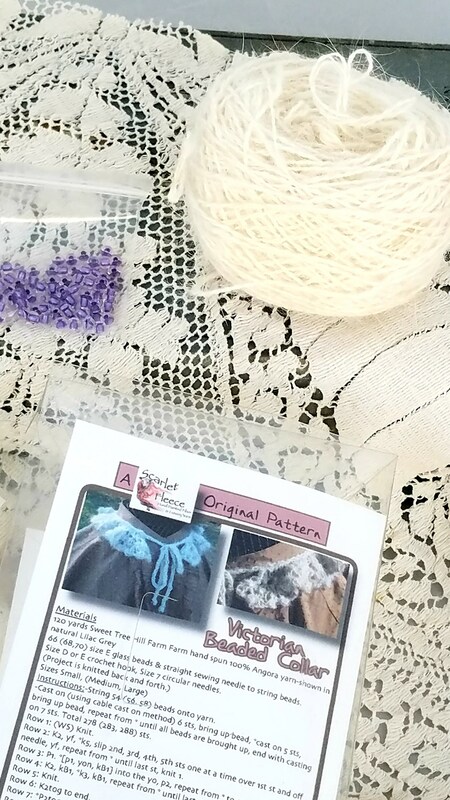 This is a kit to create this knitted lace beaded collar. 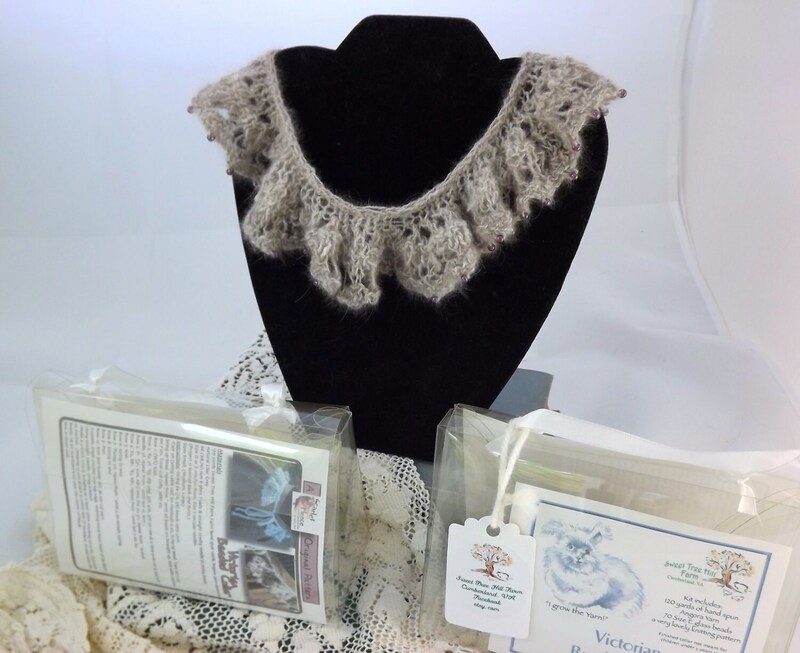 (The knitted example is a different color from the yarn in this kit.) 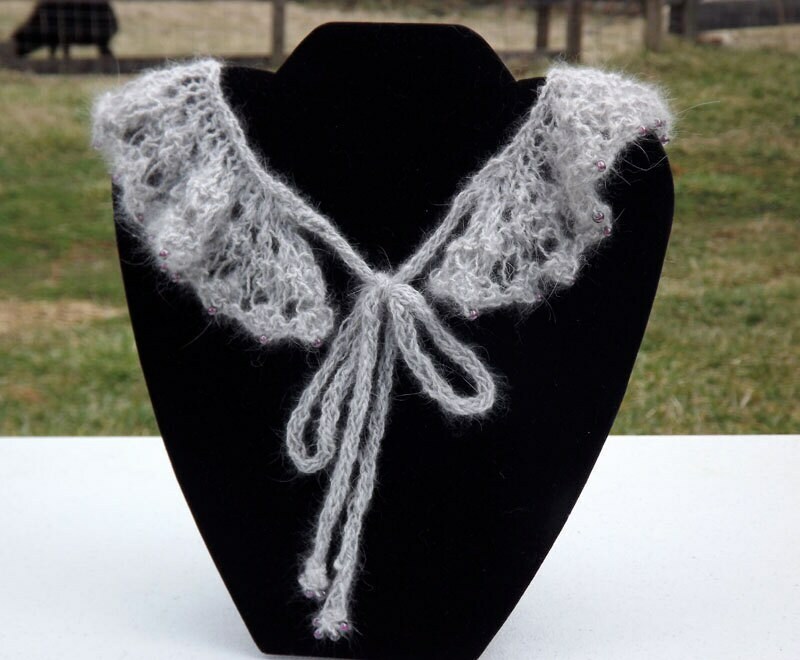 The collar can be worn with the beaded tie in front or in the back. 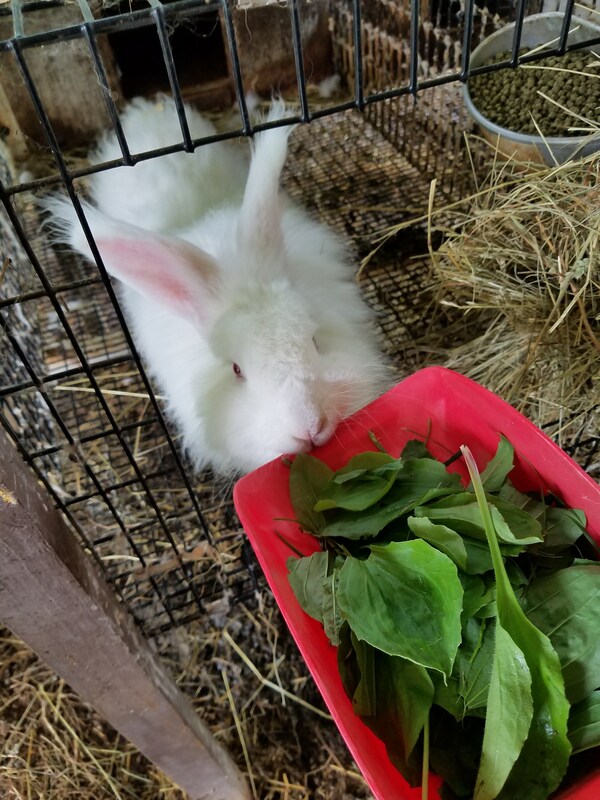 The angora fiber used to create the handspun yarn, was provided by our resident bunnies. 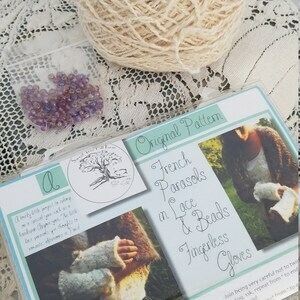 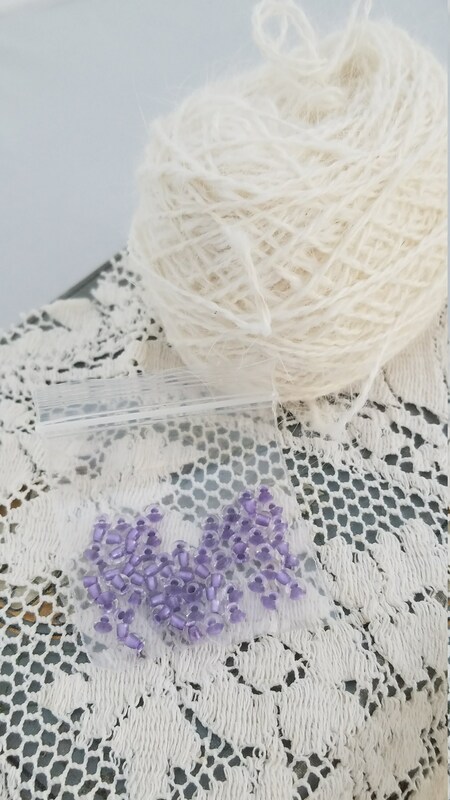 The kit also contains 70 glass beads, the original knitting pattern all, packaged in a clear plastic purse with a ribbon handle. 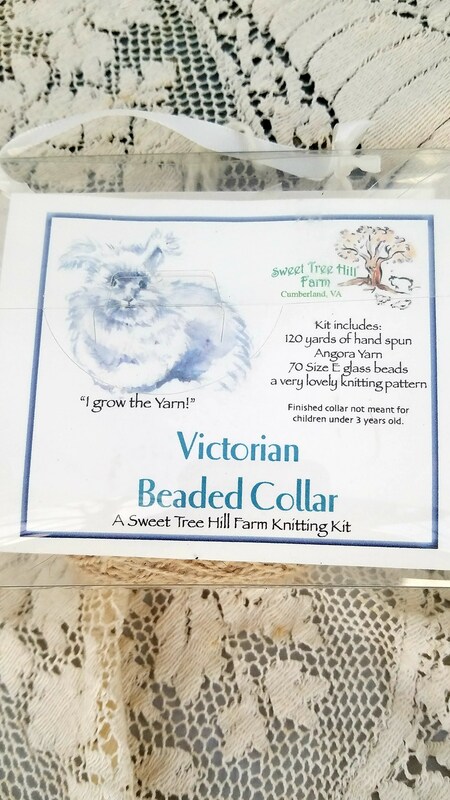 The purchase of this kit supports the operation of our family farm.